If you have a Z or ZX, then get yourself down to Elite Direct in Rainham for the Z Club Open Day - nothing but Zs either posing or getting their boots massaged by th eprofessionals. 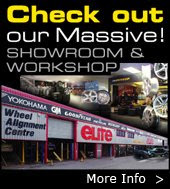 Super special deals on wheels, tyres and alignment services on the day - call Claire at Elite to discuss and pre-book. 01708 527205. 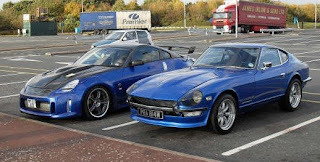 Meanwhile, check out the great juxtaposition of old and new between modified 350Z and old school 240Z at a recent meeting at Thurrock Services.